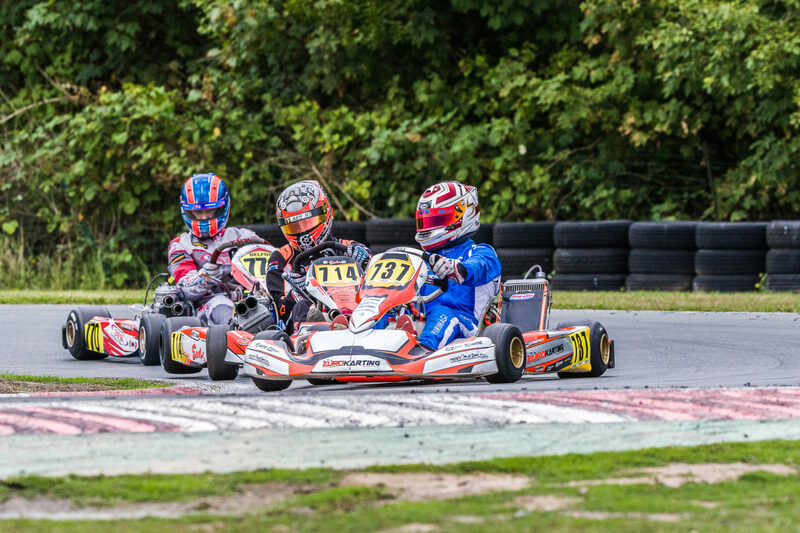 Mid-August, 141 drivers gathered to the Circuit de la Métropole in Ostricourt for the fourth round of the IAME Series Benelux. With no title awarded in any of the six categories yet, the last round of the Benelux competition would prove to be uncertain until the end. Despite a few clouds, the weather remained stable and the conditions were ideal for the “Grande Finale” of 2018. Following this weekend, the three best Belgians and the three best Dutchmen (among others…) have now one major objective at sight: the IAME International Finals that will take place at the Le Mans circuit from 8th until 14th of October and for which they have been rewarded with a free participation. There hasn’t been much suspense in the X30 Senior category (14-30 years old) with the Dutchman Joey Van Splunteren almost crowned champion before the Ostricourt round. Still, many out there were willing to conclude their season with a win in a very disputed category featuring 53 drivers. 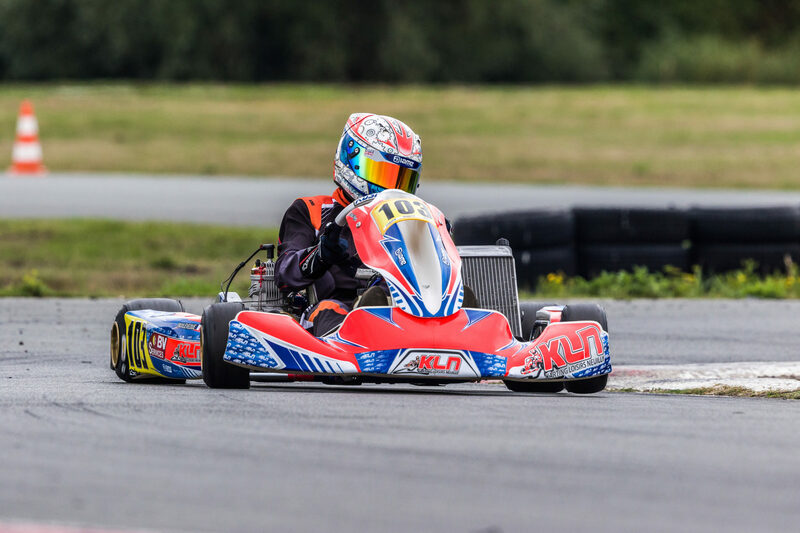 Second in Qualifying and leader after the Heats, Elie Goldstein (15 years old) dominated the Final, becoming the fourth different winner in four rounds this season. 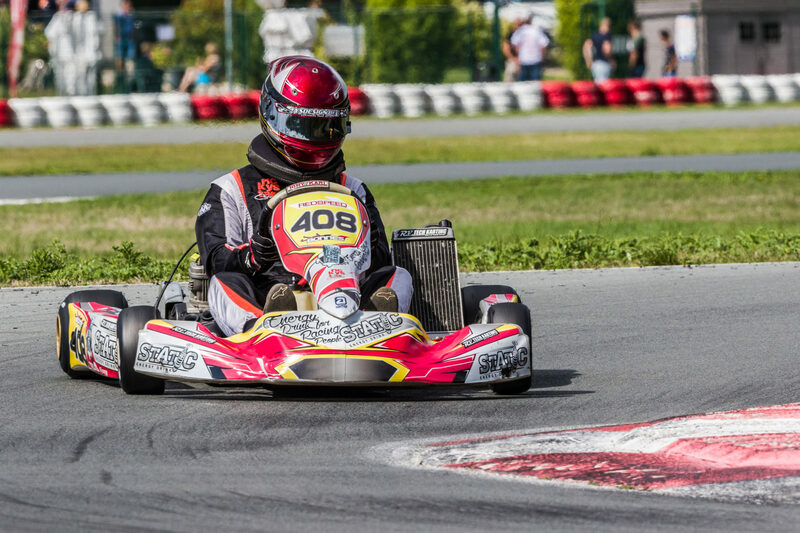 A almost-perfect weekend that offered the grand son of the legendary five-time Karting World Champion François Goldstein the place of runner-up in the rankings. 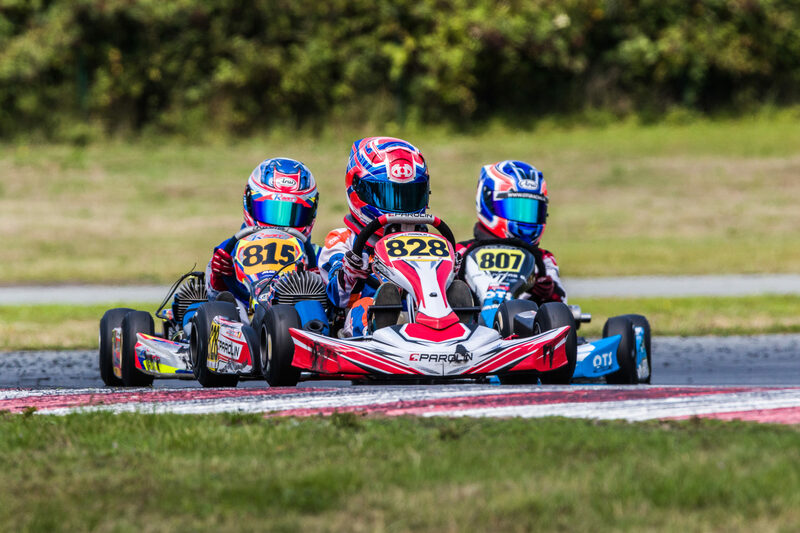 Even though he’s now mainly competing in car racing, Esteban Muth proved that he still had the pace in Karting by claiming the second step of the podium ahead of Joey Van Splunteren, for the fourth time finishing in the top 3. The experimented Dutchman, 26 years of age, is a well-deserved champion in 2018! Sunday’s top 10 was completed by Xavier Handsaeme, Ries Viverette (a good third in the championship), O’Neill Muth, Corentin Collignon, Xavier Dias, Olivier Palmaers and Mathis Cordier. Enzo Lévêque and Sam Balota have definitely been on top of their game in the X30 Junior category (12-15 years old) this year. If the Frenchman, winner of past rounds at Francorchamps and Mariembourg, was already crowned champion following the round of Heats, it was written that the last Final of 2018 would go to Sam Balota. In a 27-driver field, the man from Antwerp managed to beat the British Ben Fayers while Enzo Lévêque had to recover lots of ground after being pushed in the early stages of the race to end up tailing the leaders. With Valon Janssen and the Frenchman Victor Bernier (who two weeks before had finished second at the last round of the CIK-FIA European Junior Championship in Essay) not far behind, the five best drivers were similar to the top 5 in the overall rankings but in disorder. Behind Enzo Lévêque and Sam Balota, it was Bernier who took third place in front of Ben Fayers and Valon Janssen. Four wins in four races: Maxime Furon-Castelain is certainly the man of the year in X30 Cadet (11-13 years old). In Ostricourt, though, the Luxembourgish had to fight hard against a very insicive Victor Louis, the driver from Rochefor coming close to grab the win after passing the leader in the last corner! But Maxime was able to fight back, giving space for Olivan Fayt to steal the second place with the three drivers crossing the start/finish line wheel to wheel! In the rankings, Victor Louis ends up in second position behind Furon-Castelain with Olivan Fayt, Mathias Focan and Lucas Taelmans all in the Top 5. Heading to Ostricourt as the solid leader of the Mini championship (7-11 years old), Kimmy Abraham would have hoped to keep his title from 2017. But the weekend turned to hell for the young Ittrois who got one of his wrists wounded in a violent crash in the first laps of the first Qualifying Heat. An unlucky turn of event that forced him to pull out for the rest of the weekend! This left the championship in the hands of Douwe Dedecker and Nathan Ottink. At the end of a hectic Final with three drivers constantly switching positions for the lead, the Dutchman saluted the chequered flag as a winner. Behind him, Douwe Dedecker snatched second place from Simon Lacroix in the last turns to win the championship for… one point to Nathan Ottink! If the unlucky Kimmy Abraham completes this season’s final podium, Amaury Meertens managed to finish in the top 5 in Ostricourt (enough to secure him fourth place in the rankings) as well as Patrice Kowalewski. Comfortably leading the championship in the X30 Super Shifter category (175cc with gearbox), Sten Dorian Piirimagi wiped off his bad performance in Genk as soon as the weekend kicked-off: fastest in Qualifying and winner of his two Heats, the Estonian grabbed the title before even getting to the Final. On Sunday afternoon, he got surprised in the first lap by Christof Huibers. Put under a fierce pressure by the newly-crowned champion, Huibers would not crack and went on to win his second race of the season ahead of Piirimagi and Sam Claes, who showed great pace in Ostricourt. Fourth on the line, Thomas Vansteenberghe concluded the year on his personal highest note before Stephen Van Ginneken. Despite a difficult weekend in the Hauts-de-France, Frédéric Op De Beeck would finally join Piirimagi and Huibers on the championship podium, Van Ginneken and Claes completing the top 5. Hubert Bauthier has done all he could to grab the crown in X30 Master (30 years older of more than 80 kilos). Leading all the way from Qualifying to the Final, he knew, though, that him winning the title would also depend on Justin Bonnes’s overall performance. But the young driver from Mons did not plan to let his chance slip through his fingers and took second place in the Final, enough to secure the 2018 title for… one point on Bauthier! Fourth on Sunday behind Alain Bazard, France’s Jonathan Wemaux took the bronze medal in the championship ahead of the German Sebastian Voges et Laurent Do.